When Rameshwar Das Birla set his eyes on a textile mill, the Century Spinning & Manufacturing Company way back in 1945, he may have had no idea what a moneyspinner it would turn out to be. The Birla Group founder, who cherry-picked companies on the market, started stockpiling its shares. Century had been founded by Nowrosjee N. Wadia - a leading businessman of his time and the great grandfather of Bombay Dyeing's Nusli Wadia - following the great demand for cotton after the American civil war. Nowrosjee set up a single manufacturing unit to process cotton in 1897. Three decades later, the company was taken over by a rival businessman, Chunilal Mehta. Mehta was the owner of Century when R.D. Birla spotted it as a 'value pick'. Over the next five years, R.D. Birla, who also traded in jute and other commodities, slowly bought a sufficient number of shares to wrest management control. 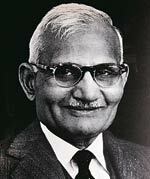 By 1951, he was Chairman of the company, and invited his brother Ghanshyam Das Birla to help him run it. He also persuaded Basant Kumar Birla - the youngest son of G.D. Birla - to get involved. Century Textiles has been in the Birla fold since and B.K. 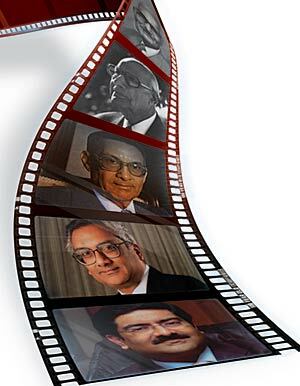 Birla - referred to as "Babu" by all - still remains, at 90, its Chairman. Over the decades, Century Textiles & Industries - as it is now known, the name having been changed in the 1980s - has moved well beyond textiles, transforming itself into a diversified conglomerate with interests in rayon, cement and paper. It is also among the very few textile companies to have survived for over 100 years. Its annual turnover of Rs 5 lakh in 1899, rose to Rs 7 crore by 1951 and today stands at nearly Rs 5,000 crore. Rajan Wadhawan, Executive Director at PricewaterhouseCoopers, says the backing of a large group like the Birlas enabled Century to survive the many upheavals in the textile business. "It is today a conglomerate by itself," says Wadhawan. But the old-fashioned way of doing business has not changed at Century. Step into its headquarters, Century Bhawan in Worli, southcentral Mumbai, and you still find the enclosed wooden cabins of a bygone era for the senior staff. Most of the employees seem to be aged, and though computers are visible, paper and cardboard files dominate the office landscape. "We don't entertain the media," a senior official says, even as he helps to piece together Century's history. Adjoining the corporate headquarters, a gleaming multi-storied comm e r c i a l highrise bearing the name "Century International" is nearing completion. Not long ago, the spot was occupied by a textile mill, which shut down. The official, speaking on condition of anonymity, says the reason for Century's longevity is the quality of its corporate governance. "We never step on the wrong side of the law," he says. Century Textiles has had many ups and downs. If some forays have succeeded, others have not. Early on, G.D. Birla realised that the company's prospects were totally dependent on cotton production, and thus were subject to the vagaries of fluctuating cotton prices. In the 1950s itself he sowed the seeds for diversification. Century first moved into man-made fibres, setting up a rayon division at Kalyan, 35 km east of Mumbai, in 1956. The unit proved a success and currently contributes almost 20 per cent to company's turnover. Another crucial shift took place in the 1970s, when Century set up its first cement plant at Baikunth, Madhya Pradesh. Cement today contributes the highest - almost 40 per cent - to its total turnover. By then B.K. Birla was also giving the final touches to the company's diversification into shipping and paper. The shipping division began operations in 1982, and two years later, Century set up a pulp and paper unit at Lalkua, Uttarakhand. But these could not replicate the earlier successes. Market grapevine has it the Birlas are now planning to exit the paper industry. "Paper requires high capital, gives low returns and there are issues like cheap imports and environmental concerns," says Pankaj Namdharani, Vice President at securities broking firm, SPA Securities. Century had earlier got out of shipping in 2005. It was contributing just five per cent to Century's revenues. After patriarch G.D. Birla's death in 1983, the responsibility of managing Century fell on B.K. Birla's shoulders. Since his son Aditya Vikram Birla - who died young in 1995 - was busy expanding his empire with flagship Grasim, Hindalco and Indo Gulf Fertilizers, B.K. 's brother S.K.Birla and nephew C.K.Birla were brought on board. The company has always been very conservative about using public money to fund its ventures. It has not raised any money from public or existing shareholders, barring one solitary effort in the mid-1990s when it mobilised over Rs 300 crore from a global depositary receipt issue. Century's financial backbone comes from following the purta system, a home grown accounting system of cost control that G.D. Birla, an austere Gandhian, developed in the 1920s. Over the decades, the Birlas have perfected purta - which can be translated roughly as "what returns am I getting" - to suit their needs. Century is now bracing for business in the 21st century. Kumar Mangalam Birla, 43, came on board in 2006 as a non-executive director. He is most likely to take over the reins once his grandfather B.K. Birla hangs up his boots. And with the backing of the $30 billion Aditya Birla Group, Century Textiles & Industries appears in the clear to score a double ton as well.